– Founded in 1886 and fathered by the railroad, Templeton has a beautiful, colorful history worth preserving. Every year, the town proudly honors and celebrates Templeton’s history, community, and agricultural heritage with an old-fashioned street faire. 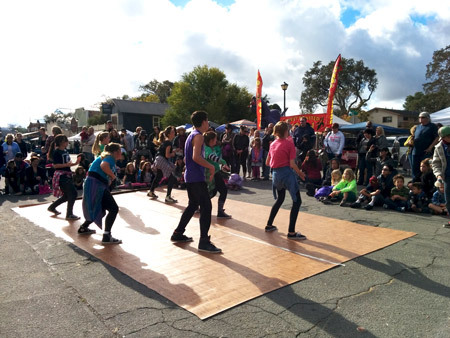 This year the Founder’s Day Street Fair is Saturday, Oct. 24 from noon to 5 p.m. It’s a community event, taking place on Main Street in downtown Templeton, CA. Founders Day is a great event for the whole family. The public gets the opportunity to learn more about Templeton’s local and agricultural history during this event, as well as a chance to have some fun and visit with other community members. The Templeton Historical Museum Society, located at 309 South Main Street, opens up their museum doors, the old railroad warehouse, and the newly acquired blacksmith shop with live demonstrations. Stop in and check out the blacksmiths live in action, as well as the old Templeton school bus they are in the process of restoring. Also, head on into the museum and pick up your free slice of pie, courtesy of the Historical Society. With the help of the Templeton Chamber of Commerce and a few local businesses, this year’s Founders Day will feature live country music by Amber Cross, a wine and beer garden, old tractors and farm equipment, antique cars and trailers, hit-n-miss engines, vintage collectors and sellers, activities for the kids, food vendors, chili cook off, and some new and exciting interactive exhibits! Bring the whole family down to Founder’s Day and help us celebrate our small towns colorful history and strong community!